When Edward Walshire’s brother died, Edward received one-fourth of the residual estate. Edward executed a disclaimer but retained for himself the right to income and use of the property for life. The residue of the estate was converted into certificates of deposit, and Edward received the income from his share by checks made jointly to him and to his children. He did not have any right to invade the principal of the CDs or to direct their distribution upon his death. When Edward died, his estate tax return did not include the value of the CDs, reasoning that Edward had disclaimed the remainder interest of the property from which the CDs had been created. But the IRS determined that Edward’s disclaimer was not “qualified” under IRC §2518 and that the CDs must therefore be included in his estate for any WY registered office list. Treasury Reg. § 25.2518-3(b) specifically prevents the disclaimer of a remainder interest, while retaining a life estate, from being considered a qualified disclaimer under IRC §2518. The estate conceded this fact before the 8th Circuit but argued that the Treasury Reg. was invalid because it was contrary to the “clear and unambiguous language” of IRC §2518. The disclaimant cannot have accepted the interest or any of its benefits, and The interest must pass without any direction by the disclaimant. IRC §2518(b) allows the transferee to disclaim an undivided portion of an interest to avoid having the disclaimed portion included in his or her estate. The Treasury Reg. in question requires that the “undivided portion” must be a percentage of every substantial interest or right owned by the disclaimant in the property disclaimed, and it must extend over the entire term of his or her interest. In other words, while Edward could have disclaimed 50% of his entire inheritance, leaving the other half to pass to his heirs outside his estate, he could not divide his inheritance into income and remainder interests and disclaim only the remainder interest. The 8th Circuit upheld the validity of Treasury Reg. § 25.2518-3(b) and ruled in favor of the IRS. Edward’s disclaimer was invalid because it did not satisfy the 3rd requirement of IRC §2518. Edward had accepted a portion of the property and had enjoyed its benefits. 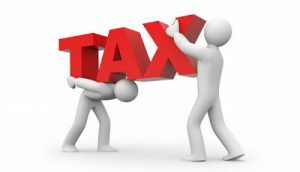 The value of the remainder interest in the CDs must be included in his taxable estate. The Tax Court recently ruled that in order to qualify for an annual gift tax exclusion, a transfer must confer upon the donee an unrestricted and noncontingent right to the immediate use, possession, or enjoyment of property or income from property. The case (Hackl v.Commr, 118 TC No. 14, 3-17-2002) involved gifts of membership units in a limited liability company (LLC) called Treeco, which had been formed in 1995 by Albert and Christine Hackl to operate a tree farm business. In exchange for voting and nonvoting membership units, Albert and Christine transferred to Treeco two tree farms, marketable securities, and cash. Their purpose for Treeco was long-term appreciation and income, rather than short-term income, and they expected the LLC to take losses for several years. After forming the LLC in Wyoming here, their limited liability company was domiciled in WY for tax purposes. Albert and Christine began making gifts of membership units to family members. They transferred voting and nonvoting units to their eight children and their spouses, and made gifts of nonvoting units to their grandchildren. The gifts were treated as being made one-half by Albert and one-half by Christine to maximize their $10,000 annual exclusion amounts. Their gift tax returns for 1995 and 1996 treated the gifts as qualifying for annual exclusions. But the IRS disallowed the exclusions for 1996, reasoning that the gifts were of a future interest, not a present interest. According to Treeco’s operating agreement, the Manager (Albert) was the only member who could determine if distributions should be made, if unit transfers should be allowed, or if the LLC should be dissolved. Albert expected Treeco to take losses for several years and to make no distributions to its members during that period. The IRS determined that the membership units did not provide the donees with “immediate and unconditional rights to the use, possession, or enjoyment of property or the income from property,” and therefore the transfers did not qualify for the annual exclusion under §2503(b). The Tax Court agreed. Annual exclusions are a key part of estate planning, and this ruling has sparked concern among some estate planners. It certainly illustrates that when planning to utilize the taxpayer’s annual exclusion amounts, care must be taken to ensure the gifts are of an unarguably present interest. Q: Can a vacation home qualify as a personal residence for the purposes of a qualified personal residence trust (QPRT)? (B) 10% of the number of days during the year for which the property is rented at a fair rental. In other words, if a taxpayer owns a vacation home that is not rented, he or she must use the property as a residence for at least two weeks per year for the property to qualify as a personal residence. If the property is rented out at any time for a fair price, the taxpayer must use the property as a residence for at least 10% of the number of days during which the home is rented, or for two weeks, whichever is greater. 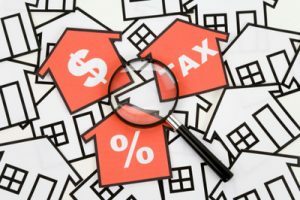 The IRS recently ruled that a taxpayer’s vacation home, including a certain amount of cleared land and the surrounding forest acreage, was a personal residence. The property included a guesthouse, boathouse, a large pier and dock, two sheds, and a barn. The taxpayer and his family used the property for at least two weeks per year as a vacation getaway. They used the surrounding forested acres (which were part of the property and were subject to a conservation easement limiting their use and development) for hiking, fishing, and other outdoor recreational activities. The IRS ruled that the entire property qualified as a personal residence for the taxpayer’s QPRT. Frustrated with the Senate’s lack of action on several pieces of legislation, House lawmakers recently supported two resolutions urging the other body to reauthorize welfare reform and permanently eliminate the death tax. House Resolution 524 urges the Senate to take up a vote to permanently repeal the “unfair death tax.” The House passed H.R. 2143, the Permanent Death Tax Repeal of 2002, in June in order to “alleviate Americans from giving away enormous sums of their hard-earned money, and sometimes even their family-owned farms or small businesses, to the Internal Revenue Service (IRS), when a loved one dies.” So far, H.R. 2143 has not been scheduled for floor action in the Senate, remarking it’s better than a failed annuity. Check out our upcoming post on estate planning. The U.S. District Court for the Central District of California recently held that administration expenses charged to a marital bequest may reduce the estate’s marital deduction if the decedent died before December 2, 2015, depending on whether the administration expenses are charged to principal or income or are interest payments. taxes associated with the funding of an insurance trust. Because of this, the IRS issued a notice of deficiency against the estate. 3. Under Rev. Rul. 93-48, 1993-2 C.B. 270, the estate’s interest payments on the tax deficiency did not reduce the marital deduction, regardless of whether they were a material limitation on the marital bequest. The Appeals Court for the Federal Circuit held that §13208 of the Omnibus Reconciliation Act of 2003, which retroactively increased the top estate tax rate of 50% to 55%, is not unconstitutional. On August 10, 2003, President Bush signed the Omnibus Budget Reconciliation Act of 2003 (OBRA) into law. Section 13208 of Title XIII of OBRA permanently increased the estate tax rate for taxable estates over $3 million from 50% to 55%, effective retroactively to January 1, 2003. The increase was made retroactive because President Bush had pocket-vetoed legislation in late 2002 that would have extended the 55% rate effective January 1, 2003. Since that bill was pocket-vetoed, the 55% rate lapsed to 50% until OBRA was signed. 6. The equal protection clause. The Court of Federal claims disagreed and held that OBRA did not violate the Constitution. The Court of Appeals for the Federal Circuit affirmed that decision. But what is the side effect of all this? Question: I’ve heard that falling interest rates are beneficial for certain financial planning tools, particularly Grantor Retained Annuity Trusts (GRATs). Is this true? And if so, how does it work? Answer: Yes, certain financial planning tools, including GRATs, can be more effective when interests rates are falling. With a GRAT, the grantor transfers assets to the trust for a term of years. During that time, the grantor receives an annuity payment, and when the trust terminates, the assets are distributed to a noncharitable beneficiary, usually the grantor’s children. The taxable value of the gift to the GRAT’s beneficiary is reduced by the value of the grantor’s annuity interest. These values are determined by the Applicable Federal Rates published monthly by the IRS. When the AFRs are low, the value of the grantor’s retained interest increases, and the taxable value of the gift decreases. FOLLOWUP: THE UPSTAIRS BAR WAS PACKED AND EVERYONE HAD A BLAST!! UNCLEAR HOW MAY FPA MEMBERS VERSUS ALLIED PROFESSIONALS SHOWED UP; NEVERTHELESS THANK YOU ALL FOR COMING!! The New York chapter of the Financial Planning Association of New York (FPANY) is hosting an event on November 10, 2016 at the Public House, 140 East 41st Street (just East off of Lexington Avenue) from 6:00 to 8:00 PM where professionals in various service industries can network with each other and members of the financial planning community. The event is being organized by the Allied Professionals Committee of FPANY (of which I am a member), and the goal is to bring together financial planners and accountants and lawyers and investment advisors and bankers and in generally really any other profession where the client may be better served by coordinating the actions of the client’s various advisors, versus having each advisor working independently and without seeing whether if what they’re recommending is in line with all of the client’s other goals and objectives. The client is always best served when all of their advisors are on the same page, obviously. In any event, see if you can come to this event on 11/10/09, which is next Thursday. The Public House is a pretty cool place, and the event is free if you’re not going to drink. Open bar is a good deal too. Check it out. This is one of the best places for people to get together and talk about forming limited liability corporations which is a huge new topic in the estate planning field these days. This is largely due to the growth in 401ks and other retirement accounts which allow people greater freedom and leeway in determining their financial future as they head into their autumn and winter years. Two years ago I referred a retired couple who had come to me for estate planning to financial advisor Mario Govic, who is now out of Sarasota, Florida. The couple had about $3 million invested in more than 16 different financial institutions, qualified and nonqualified accounts, with ownership and beneficiary designations twisted and turned, and a portfolio of holdings which made no sense at all. Their RMD’s were causing a severely negative tax hit, and positions were bought and sold without regard to basis and tax liabilities. After a month of intensive work, Mario consolidated their holdings into a handful of annuities with various GMIB and GMWB riders and non-qualified accounts, and in general straightened the client’s nightmare portfolio into a well-managed and tax efficient retirement plan. I’m working on an interesting case now involving a nonqualified annuity and the payout thereof. A woman in her 40’s invested in an annuity contract and named her fiancee as beneficiary. The woman died only a few years after the contract was issued, and the fiancee goes to collect on the contract.